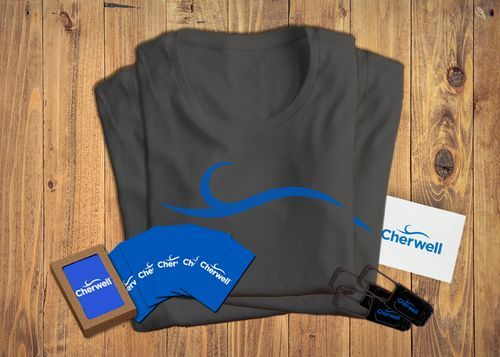 As a part of their software purchase, each new Cherwell customer goes through a comprehensive onboarding process leading up to an official “Go Live.” To celebrate this milestone, Cherwell gives everyone on the customer team a “Go Live Kit,” which consists of fun items that reflect Cherwell’s unique culture. Each kit is semi-customizable, allowing the Cherwell implementation team to add something unique for each customer. We assemble the base kits at our warehouse and inventory them so they are ready to go at a moment’s notice. When a customer “Goes Live,” the Cherwell team logs on to the company web store and orders a kit with just a few clicks. We add a personalized Cherwell notecard before shipping the package to the customer. We make it easy for the Cherwell implementation team to continue this great tradition without becoming distracted by the logistics.